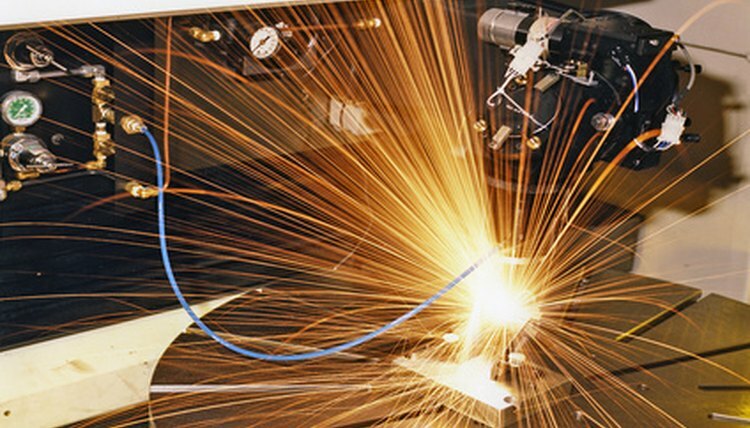 A welding rod or filler metal helps to fuse or weld two metals. Welding rods are available in different types, and they are used for different purposes. Choosing the right welding rod is the major factor in determining the success of a weld and the strength of the joint. Four types of rods are covered rods, tubular rods, bare welding electrodes and welding fluxes. 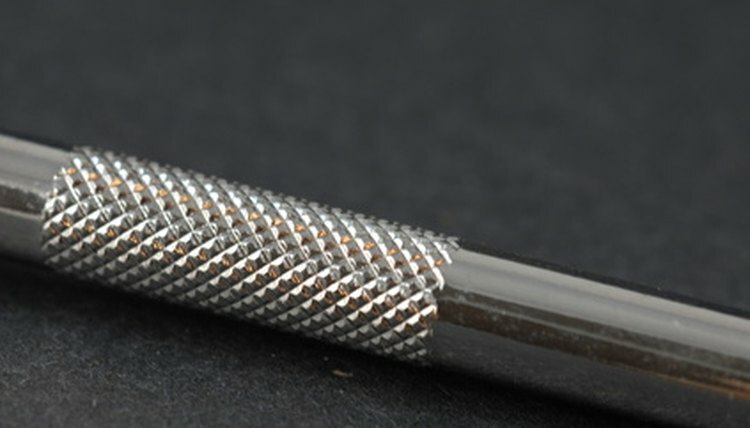 Choosing the wrong rod will produce a weld that is too hard, too soft, brittle or easily torn. 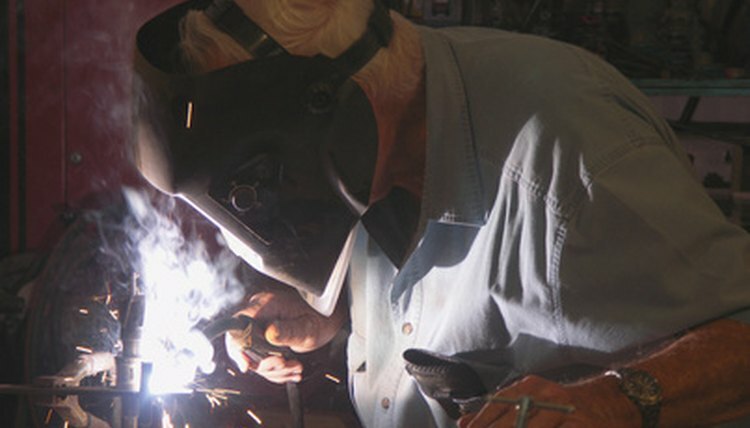 The American Welding Society gives each rod a four- or five-digit number to guide the process of choosing the right rod. 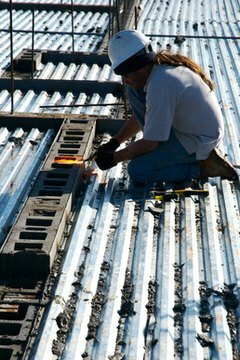 Determine the type of welding that will be done. The four main types of welding are metal arc welding, flux-cored arc welding, gas metal arc welding and submerged arc welding. Ensure the welding rod has an "E" setting, which means it can be used as an electrode. Consider the type of metal to be welded. Ensure the metal in the welding rod matches the material to be welded. For example, match arc welding with carbon steel and an "E" welding rod. Check the tensile strength of the rod. The tensile strength is the strength the rod will add to metal. It is very important to know the strength when choosing the right welding rod. To check a rod's tensile strength, look at its first three digits. The higher the number is, the stronger the rod. Verify the welding position. The welding position is the position in which the weld will be performed. Choose an "all position" rod. It can perform flat, vertical, horizontal and overhead positions. Look on the packing box for the rod to check the rod's size, the temperature to use and the thickness of the material to ensure it is the right rod to use. Choose the right rod to perform specialized welds. Select a carbon rod when welding steel or iron. The right rod for welding cast iron is a high-nickel rod. Choose a Radnor rod to weld metals with a crystalline core. The right rod to choose for welding brass is a rod with flux coating. Choose Inkontel, a rod made of iron and nickel, when welding cast iron. Read the instructions on the packing box of the rod very carefully. Also, look inside the box for special instructions, diagrams, tips or warnings. Ensure the rod is not wet or damp. The metal needs to be thoroughly cleaned before welding. Based in Edmonton, Alberta, Carolyn Turner is an educator who has been a freelance educational writer since 2008. She operates a writing service that caters to various sectors of the educational market. Her recent biography, "Sam Houston," was published by Weigl Publishers. Turner received a doctorate in education from Commonwealth Open University in 2003. Turner, Carolyn. "How to Pick the Right Welding Rod." 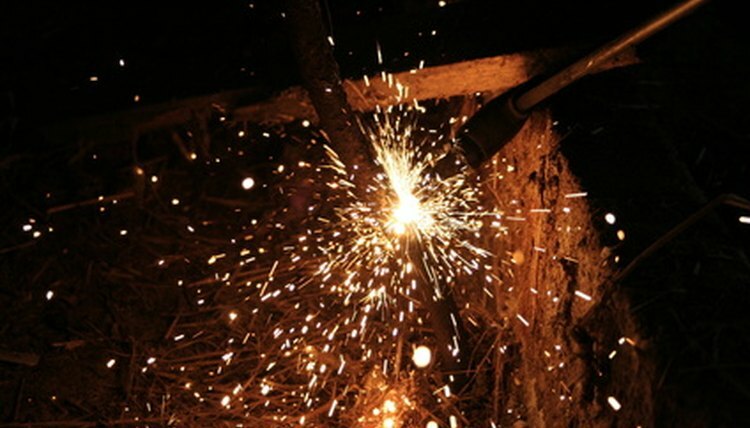 , https://careertrend.com/how-6685601-pick-right-welding-rod.html. 05 July 2017.